"Discover How To Launch A PROFITABLE Online Business LIGHTNING FAST!" "It's FREEDOM FOR YOU, FREEDOM FOR YOUR FAMILY, ULTIMATE FREEDOM..."
"How To Build A PROFITABLE Online Business Lightning FAST In Today's DIGITAL Economy!" 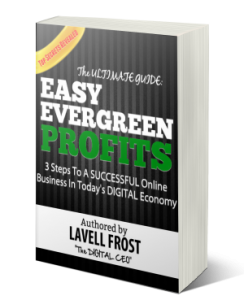 The EXACT Strategy You Can COPY To Launch Multiple Six-Figure Passive Income Streams In 60 Days From Scratch! The VITAL Tools Needed To SUCCESSFULLY Run ANY Online Business (There's Only TWO)! How To Find People That Will Buy From You 99% Of The Time And Turn Them Into LOYAL Customers For LIFE! How To Generate INSTANT Cash Flow To Grow & Scale Your Business EVEN If You Have NO BUDGET! Get Ready To Change Your Life & Finances For The Better! REGISTER FREE Today!